NewsRE Teacher Recruitment: Help us find more Sarahs! The Beyond the Ordinary RE teacher recruitment campaign to attract more trainees to take up secondary Religious Education PGCEs first launched in 2015 in response to declining numbers of RE teacher trainees. The campaign was a huge success, leading to recruitment for RE outperforming all other PGCE subjects. 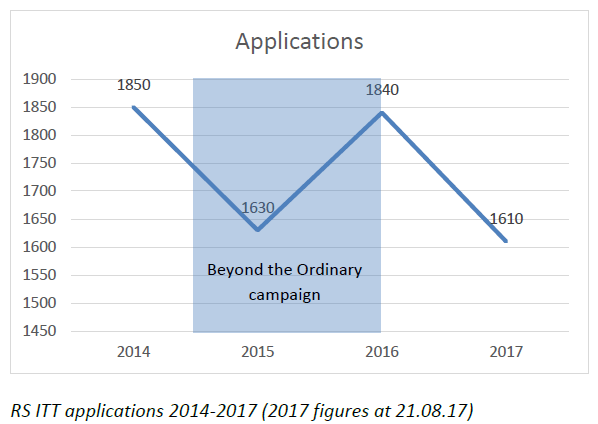 In fact, in 2016 applications rebounded to their 2014 levels and since then the number of successful candidates has risen steadily. What’s more, preliminary figures for the end of the 2016-17 cycle suggest that the number of candidates taking up places is over 16% higher than in 2014. That is the good news! 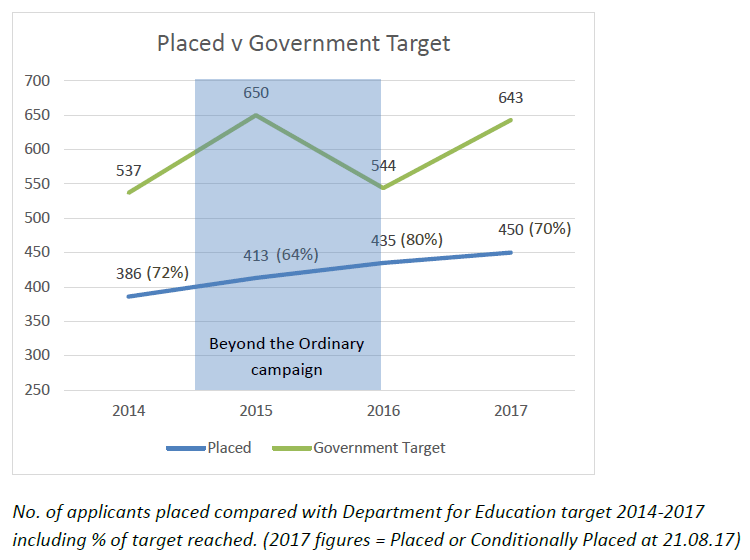 The bad news is that recruitment numbers still fall short of Government targets and, after the initial two phases of our campaign ended, applications have once again fallen as the legacy of the campaign tails off. However, thanks to further funding from the All Saints Educational Trust, we are now able to relaunch some elements of the original campaign to support the 2017-18 cycle. For example, we are working with UCAS to reach suitable potential candidates, will be targeting regions where places are available, will target candidates via social media and will launch a new media partnership. The campaign message is still as relevant today as it was back in 2015. Becoming an RE teacher offers a chance for a stimulating career, tackling some of the most important issues facing the world today, firing up young minds eager for answers to the big questions. In other words, definitely a career that’s way beyond the ordinary! Visit our campaign website at www.teachre.co.uk/beyondtheordinary for more tools, videos, presentations and inspiration! Ask yourself who in your network can help and get them involved. Do you know anyone thinking about a career change? Why not pass the word to someone who’s looking for a new career that will inspire them more than their current nine-to-five? We know that career changers often opt to go into teaching and great teachers come from all backgrounds. RE could just be for them. 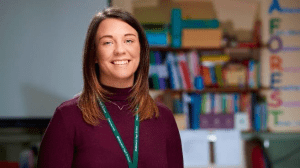 There are plenty of resources available to prepare their knowledge and skills for the PGCE, including the TeachRE course, which helps develop specialist subject knowledge. Help us find more Sarahs! …where there’s an opportunity to chat directly with an experienced RE teacher?